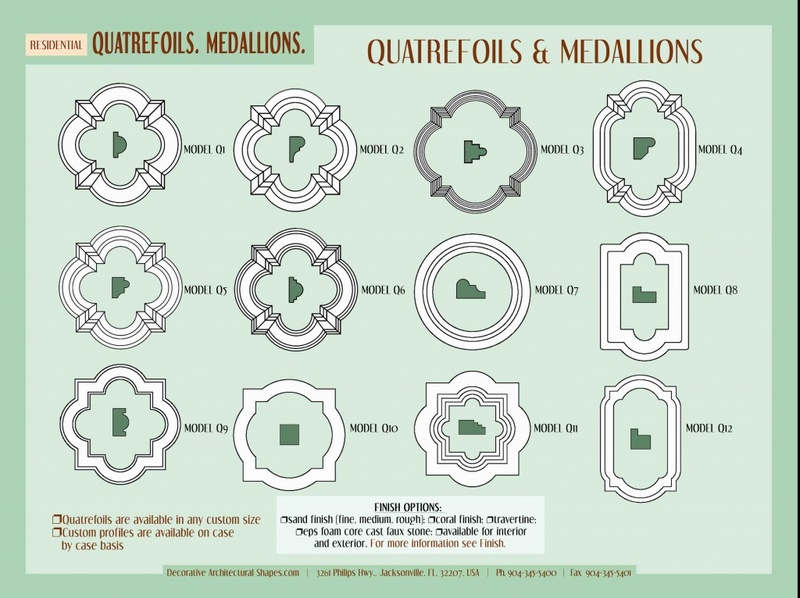 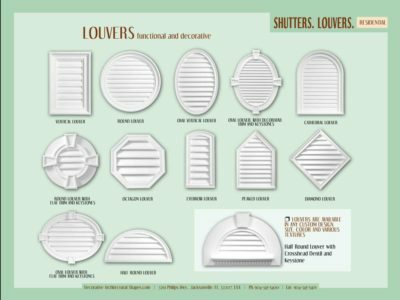 Decorative Architectural Shapes is your source for exterior shutters crafted of high quality materials designed to meet your needs. 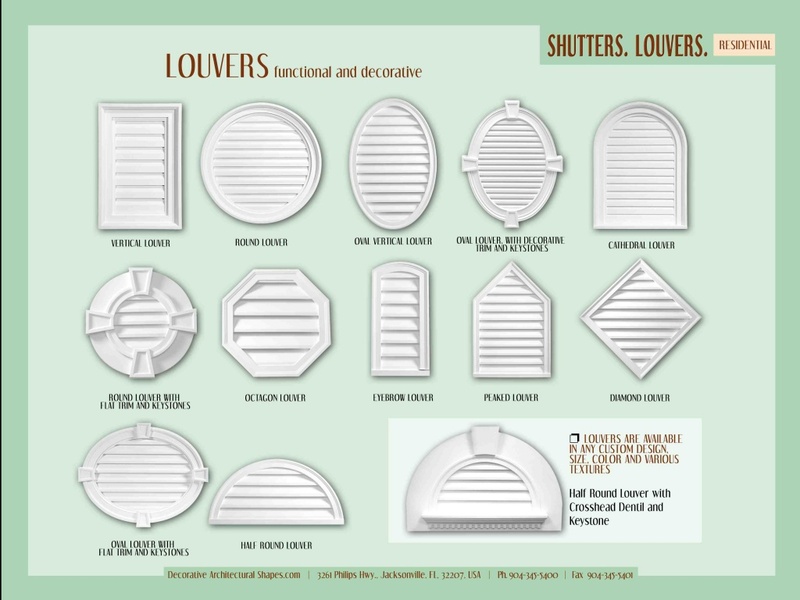 Our shutter selection includes classic shutter styles, such as the standard louvered shutter, relaxed board-n-batten shutters, combination shutter styles, as well as attractive bahama shutters. 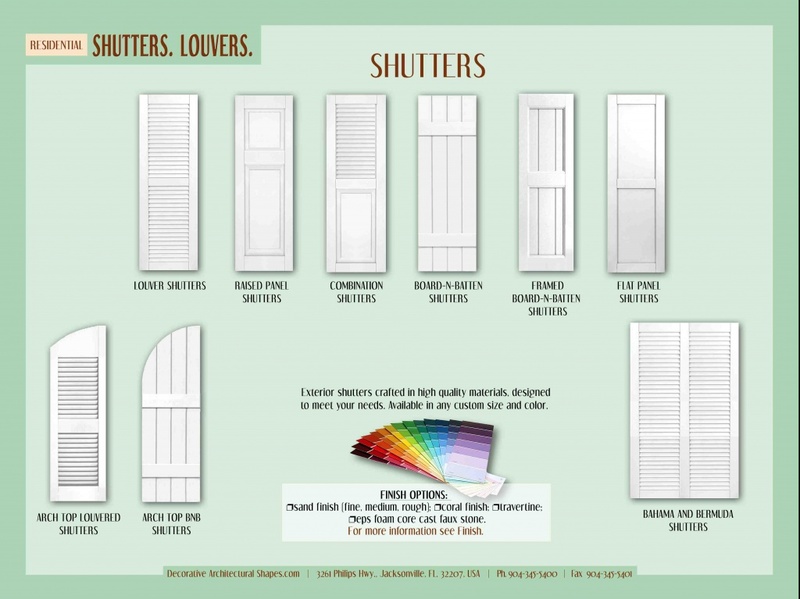 In it’s simplest form the Board-n-Batten shutters has been rumored to be the first style of Exterior shutter invented. 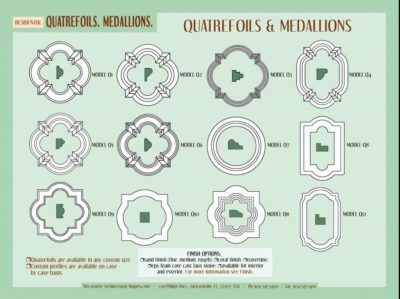 The vertical members are referred to as the boards and the horizontal members are referred to as the battens. 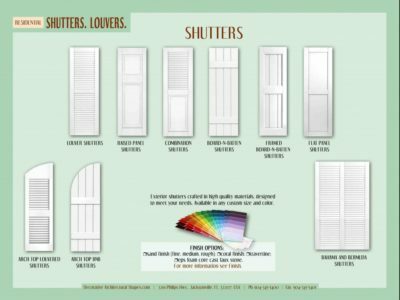 This classic style is perfect for ranch style homes or homes that want to reflect historical significance and simplicity.